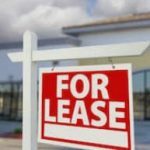 If you rent a commercial space to a tenant that has defaulted on rent payments or who broke the terms of the lease, you may wish to evict the tenant. It should be said that you should only pursue the eviction route if you have exhausted all other options, such as discussing the default or breach with the tenant and giving the tenant a chance to remedy the situation. However, if all other reasonable efforts to sort out the issue with the tenant have failed, eviction may truly be your only option, in which case you should retain the help of an experienced Alabama eviction lawyer. It is not uncommon for businesses of any size to suffer from cash-flow issues from time to time. If a tenant is unable to pay rent after a particularly slow period, you may want to offer a repayment plan or other means of assistance. However, if the tenant is unwilling to work with you, or if his or her business is doing so poorly that there is no hope of recovery, eviction may be necessary. If it is, you should consider the ramifications on your business for pursuing a commercial eviction. Are the tenant’s monetary woes temporary or long-term? Will you have to put a lot of money into making repairs? How long will it take you to lease the property to a new tenant? Depending on your answers to these questions, eviction may or may not be the best business decision. If you decide it IS a sound business decision, the sooner you start the eviction process, the better, as each day you are unable to re-rent the space is another day in which you lose money. It is not unthinkable that if your commercial tenant is having money issues that he or she may file or already have filed bankruptcy. If this is the case, your options may be limited. Once a person or business entity files for bankruptcy, the bankruptcy courts place an automatic stay on collections actions. Unfortunately, evictions fall within the “collections” category. 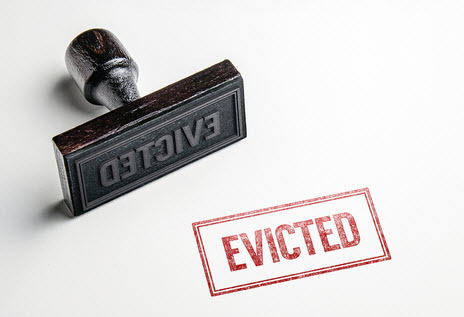 If your tenant has already filed for bankruptcy, you may be prohibited from serving him or her an eviction notice or from beginning the eviction proceedings. That said, you can always ask the bankruptcy courts to lift the stay so you can get the old tenant out and a new one in. The court is likely to grant your request, as the tenant’s tenancy unlikely has any bearing on his or her case or assets. The commercial eviction process looks more or less like the residential eviction process. You begin by serving the tenant a notice of default. You should do this even if your lease does not require you to give notice, as a notice can serve as proof that you a) notified the tenant and b) gave the tenant time to cure the issue. Next, do not accept any form of payment other than a payment in full. Landlords may unintentionally forgive a breach and therefore be barred from beginning eviction proceedings if they accept partial payments. Unless the tenant can pay in full, do not accept payment from him or her at all. Finally, start the court process. Your lawyer will serve the tenant with a formal eviction notice after the date you gave your tenant to cure the nonpayment or breach has passed. Your attorney can also file a formal eviction notice with the court. 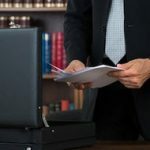 The judge may decide that the tenant has to vacate the premises immediately, or he or she may give the tenant a few days to pack his or her belongings and get out. The judge may also order the tenant to repay the past-due amount over a specified period of time, as well as repay the landlord for future loss rent until the property is rented again. Whenever you are forced to deal with a commercial tenant who fails to pay rent, it is always important to weigh the pros and cons of evicting the tenant as well as the likelihood that the tenant will be able to catch up on rent. If a tenant is an otherwise good tenant who fell on hard times, you may be better off waiting for the tenant to get back on his or her feet and working with him or her than going the eviction route. However, if you are unable or unwilling to take a risk, or if non-payment has been an issue before, start the eviction process immediately. The longer you wait the more money you lose. For help with the eviction process, contact the Alabama eviction lawyers at Cloud Willis & Ellis today.